The shamanic practice known as soul retrieval is perhaps the most important level of healing in spirit medicine because once the spiritual-energetic nature of an illness-causing intrusion has been addressed, the cause is still unresolved, namely the tears in the fabric of the sufferer’s soul cluster that allowed the intrusions to enter in the first place. As long as these empty spaces remain unfilled, there is no guarantee that the intrusions will not reinvade given an opportunity to do so because those holes are like open invitations. But how does the process of soul retrieval actually work? All of us, in every culture everywhere, had ancestors who were hunters if we go back far enough. In doing soul retrieval work, the shamanic practitioner teams up with the spirits who assist them, then they go to work together, tracking the lost soul parts much like hunters. And this is where spirit medicine has something important to offer the psychotherapeutic paradigm. Psychologists and psychiatrists know about dissociation, but where do the dissociated parts go? In doing soul retrieval, the shamanic healer and their spiritual assistants locate the lost soul parts in the Lower, Middle, or Upper Worlds of the Spirit World. Then with the assistance of their helping spirits, the shamanic practitioner enters into relationship with them, convincing them to return and bringing them back to their original owner. In this process, the person’s soul cluster is restored, and their energetic matrix may return to its former undistorted state. Interestingly, a soul part that has taken refuge in the Lower Worlds may often be found in the company of an animal spirit who is caring for it. When this soul part is brought back, the animal spirit may return with it, resulting in what is called a power animal retrieval. 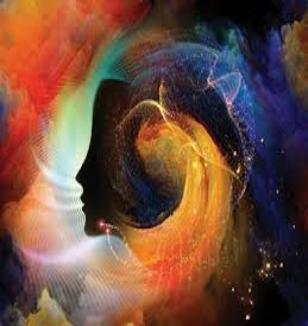 As the soul cluster is restored, the shaman instructs the client in how to take an active role in reintegrating these lost self-aspects, assuring a successful reunion and ensuring that the extracted illness intrusions will not reoccur. The perspective of spirit medicine is still quite foreign to most of our Western healthcare practitioners, doctors, nurses, and therapists alike. However, this worldview, so familiar to the indigenous peoples, is gaining wider acceptance… because it greatly assists in the healing process, and because it works.